The transatlantic slave trade was abolished by Congress in 1808 but that didn’t mean that (1) it still didn’t go on illegally and (2) the domestic slave trade wasn’t active and profitable. In 1860, there were about 4 million enslaved Africans in the US, and 10% of them lived in South Carolina. We’d bought a combo ticket at the Old Exchange and Provost Museum that also included the Old Slave Mart Museum. They’re “sister” museums, both run by the city. Most slave auctions in Charleston were public and outdoors (like the ones that took place outside the Old Exchange), until the city outlawed public auctions on July 1, 1856. “Locals found the practice distracting, perhaps even distasteful, and had complained to city officials,” says an article in the Charleston Post and Courier. They might have found the public display distasteful, but they had no problem with the practice itself. The same day that the no-pubic-auction law went into effect, a private, indoor slave auction business called Ryan’s Mart opened at what is now the site of the Old Slave Mart Museum. First opened as a museum in 1938, the site has been owned by various people, and the museum operated intermittently, through the years. Its current iteration has been open since 2007 and its exhibits follow the domestic inter-state slave trade in Charleston, from 1856 to 1863. The museum was packed and the crowds in front of each display moved slowly (no photos inside). I think it was because the exhibits are mostly written narratives, not objects, and it takes awhile to read the dense information on each story board. I have mild agoraphobia so the crowd made me anxious and I wove through the museum at a faster pace than I would have had it been emptier and I hadn’t been shoulder to shoulder, front to back, with other visitors. I missed a lot, but it was just too much closeness for me. I’d still recommend it, though. 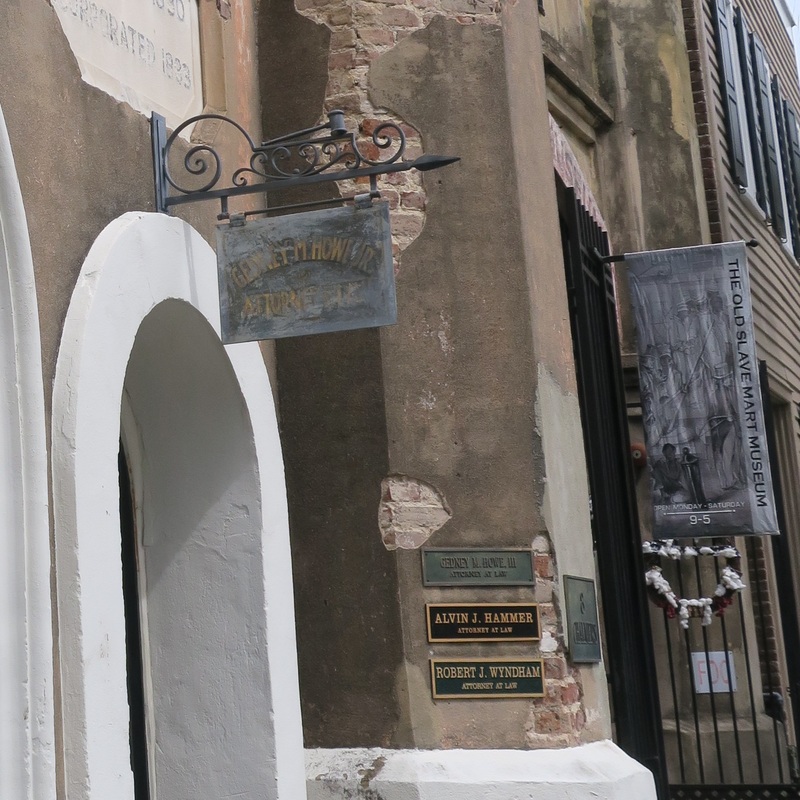 The Old Slave Mart Museum was the first museum devoted to telling an African American story. And it’s located in what may be the only building used as a slave auction site still standing in South Carolina. I’m surprised it is still standing and not demolished long ago. Well, it’s part of our Southern history and we have to face up to it. Like you, I cannot tolerate tight crowds, either, perhaps because, when I was a child, I was separated from my mother following a downtown parade. Large high-up people pushed and shoved until I lost my grip of Mother’s hand. That’s scary – being separated from your mom. I’m glad (I’m assuming) you found her again.